Prime Minister Justin Trudeau used a visit to Sussex, N.B., on Thursday to tout his government's new Canada Workers Benefit, outline plans to address the so-called "black hole" in employment insurance benefits and discuss rural economic development. 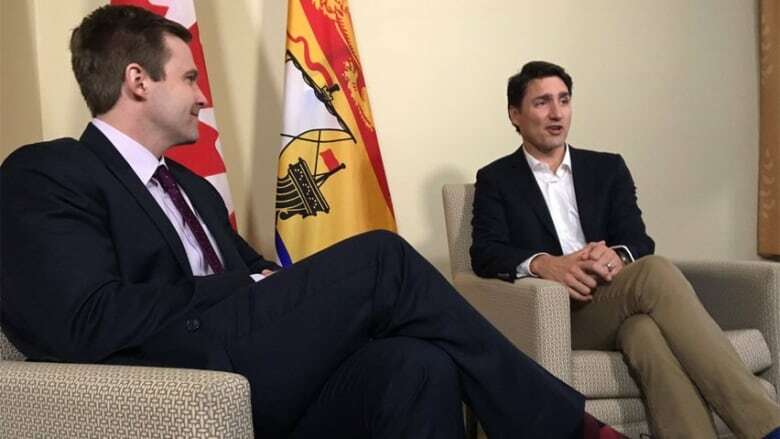 Premier Brian Gallant said he used his meeting with Trudeau to talk about the proposed Sisson mine project, a provincial project on healthy aging, and plans to develop a cybersecurity centre of excellence in Fredericton. 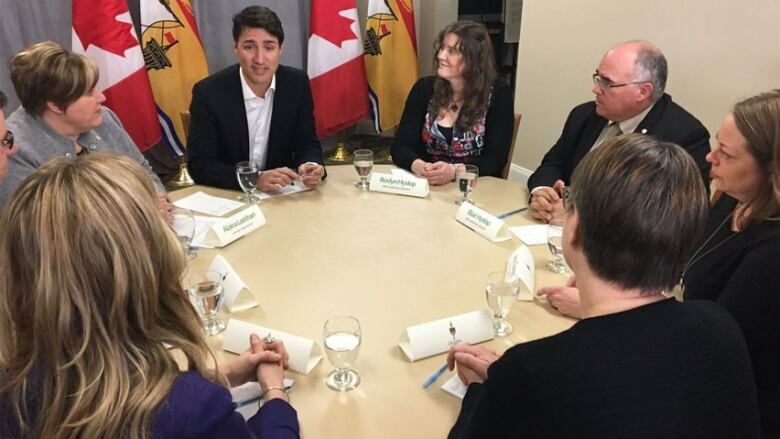 Trudeau also participated in a roundtable discussion with Fundy Royal MP Alaina Lockhart and several local business leaders during his stop in the town that was hard-hit by the closure of PotashCorp's Picadilly mine more than two years ago. About 430 people lost their jobs and many small businesses also suffered. Trudeau said there are people in communities right across the country who are struggling. They might not earn enough to benefit from the middle-class tax cut and miss out on the Canada Child Benefit because they don't have children. "That's where the Canada Workers Benefit comes in," he told reporters at the Work Room Career Resource Centre at Sussex Regional High School. "It allows low-income workers to take home more money while they work, encouraging more people to join the workforce and stay in the workforce." Starting next year, someone earning $15,000 a year could receive up to $500 more than they received under the old working income tax benefit, the premier said. "That's extra money that can be used to plan for the future or help cover everyday costs like groceries, utility bills and rent." Trudeau expects the benefit announced in the 2018 budget to lift 70,000 Canadians out of poverty by 2020. More than two million working Canadians will benefit overall, he said. With respect to the EI "black hole" — the gap between the end of employment insurance and the start of seasonal employment — Trudeau said his government is moving forward on two tracks. "One is an immediate injection of money in the region to support folks who are facing the real challenges around seasonal work and around the gap in EI benefits." About $2.5 million has been allotted to New Brunswick for a seven-week pilot project that will see seasonal workers receive training and work experience through the Department of Post-Secondary Education, Training and Labour. Work is also underway to create a more permanent solution for seasonal workers across the country, Trudeau said. Trudeau held a roundtable discussion about rural economic growth with Fundy Royal MP Alaina Lockhart, left, and local business leaders. 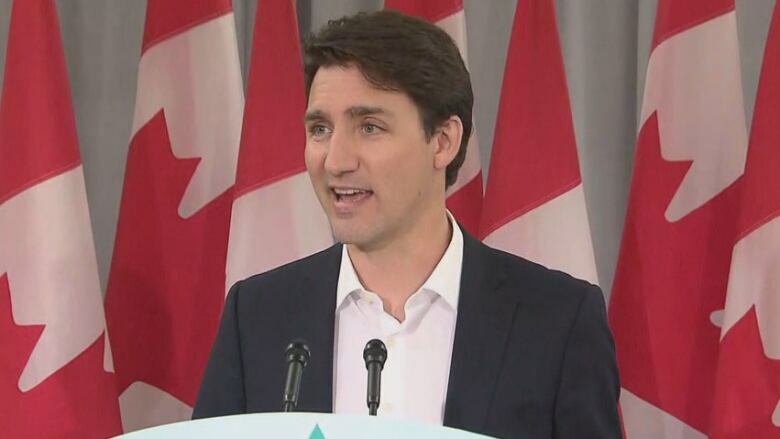 (Matthew Bingley/CBC)During the roundtable discussion with small business owners, Trudeau said the federal government is looking at a broad range of initiatives to support them. "There are always particular challenges in rural areas," he said. Blair Hyslop, who owns Mrs. Dunster's with his wife and has been among those helping develop a strategic plan for the town following the potash mine closure, is optimistic. "I think there are some policy things that could really help in terms of giving a leg-up to rural communities," he said. "Really, if you're talking about economic development in Atlantic Canada, you're talking about rural economic development." Other participants in the rountable included Barbours, Outdoor Elements and Legacy Lane Fibre Mill. The premier said he had a good discussion with Trudeau about the economy, including the proposed open-pit tungsten and molybdenum mine, which he contends would help spur economic growth. The Sisson project, planned for Crown forestland about 60 kilometres northwest of Fredericton, near Napadogan, could create hundreds of jobs during construction, bring in hundreds of millions of dollars of investments and provide hundreds of jobs for many years, he said. "We mentioned that to the Trudeau government and to the prime minister today to ensure that they're aware of this important project and that we do everything we can to make sure that it can become a reality very soon." Gallant was also excited to discuss the province's healthy seniors pilot project, which the federal government has committed $75 million to. He said he expects there will be more talks in the coming weeks about what exactly the program will look like. The province has "lots of ideas" and plans to be innovative in its approach. "We can then show the rest of the country — maybe even the rest of the world — about how we have been innovative in delivering senior care." 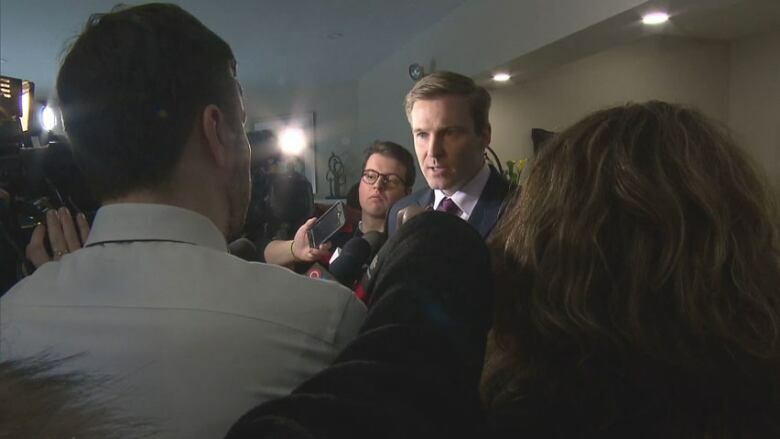 The extra money Ottawa has set aside in the budget to invest in cybersecurity could also mean good news for the province, said Gallant. "We believe we can get a piece of that pie here in New Brunswick to continue to develop our cybersecurity centre of excellence."